When was the last time you had your CO meter calibrated? Testo is holding a special discounted offer for 317-3 CO meter calibrations. Carbon monoxide (CO) meters are a vital warning system in the endless fight against the odourless and colourless lethal gas. Keeping your tools calibrated is essential to providing an early warning system that can save countless lives. If you haven't tested your CO meter in a while, it might be time to have a Testo professional take a look at it. One-point calibration reduced from $86 to $69. Two-point calibration reduced from $138 to $109. 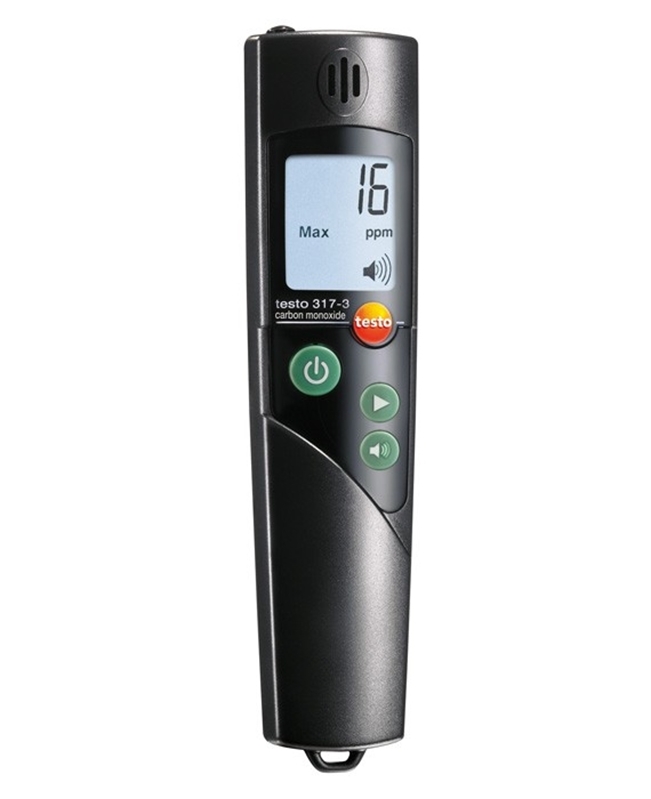 The testo 317-3 carbon monoxide monitor is perfect for ambient air testing. Measured readings and any possible deviations. Once your CO meter has been logged in the system, you won't have to worry about remembering to calibrate your tool again. It will be entered into a database that automatically sends out an email when your monitor is due for service. This system also catalogues your certifications, which can be printed and sent to you should you need a replacement. National Association of Testing Authorities (NATA) certification is also available upon request. The discount offer applies to the testo 317-3 model. If you want to take advantage of the calibration special offer but don't own a testo 317-3, it could be time for an upgrade. The meter is sold with a carrying case and belt clip, as well as an attachable strap for technicians always on the go. Armed with a three-year warranty, the 317-3 CO monitor is equipped with the latest digital display that makes taking measurements of CO concentration in ambient air a breeze. Able to run for 150 hours on two AAA batteries, it's another dependable tool that provides 3 parts per million (ppm) accuracy and 1 ppm resolution. Users can take advantage of the configurable alarm system, which features both a visual and audible warning when a threshold has been met for simple detection of dangerous CO levels. Don't wait too long – the discount ends the 31st of May. Contact a calibration specialist today to get information on where to send your monitor for service and to learn more about Testo products. Previous PostDo you have all the tools you need for safe food production?